Discussion in 'The Fashion Pack' started by ax80, Sep 7, 2009. 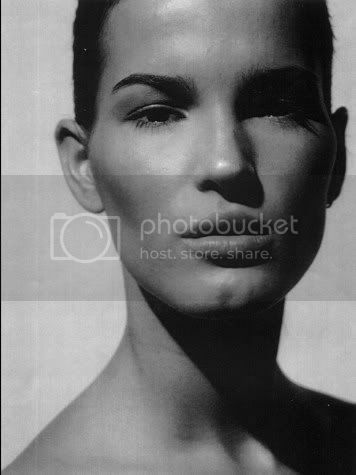 She might not do much modeling now but her face is still one of the most stunning I have ever seen. She has such a classic face and such an exotic feeling to her. Wonderful! She is with Team Oslo, Diva Models in Denmark and Paparazzi in Finland. I LOVE her Nina Jarebrink shoes. I want them so bad! i really love her style, and she's so beautiful. Which agency/ies is she signed with ? Plus I think I read she once was with supreme and ford. So I just saw the Fashion's Night Out livestream, and Hanneli was the host (along with Andre, of course.) Is this her only thread? I think so, Ive searched for others, but I can only find this one. Weird its so little activity. why so little pics abt her? Is she working as a model now? I thought she was more of a blogger/commentator?